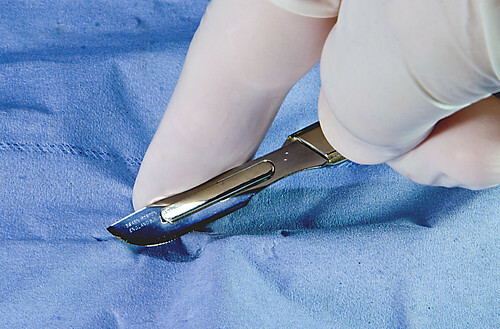 Scalpel, a photo by tudedude on Flickr. In a basic sense, it is the removal of extraneous flesh, usually done for religious or aesthetic reasons. It was also a sign for the Jews of their being people of the covenant. It was not optional. Paul speaks of a new circumcision: a circumcision of the heart. But how are we to understand this? Certainly, this new circumcision marks us as having entered into the new covenant. At our baptism, our souls were indelibly marked. God’s laws were inscribed on our heart. Is this what is meant? In part, perhaps. But I think it goes further than that. Physical circumcision is an active event. God doesn’t do it. You do it, or have it done for your child. So, too, I think the circumcision of the heart is an active event. It’s not merely an awareness of the indwelling of the Spirit, but it is a choice that we make every day to be a disciple of Christ. And this, too, is not optional.